I was stopped for a school bus on the way to work this morning when this lumbering, somewhat slow-witted, Bigfoot crossed in front of my car. There’s been a lot of hub-bub recently about a recent Bigfoot sighting in Pennsylvania. Though in the linked news account he appears to be more of a chimpanzee than a man-beast. Around our parts, Sasquatch are as much of a nuisance as deer this time of year. 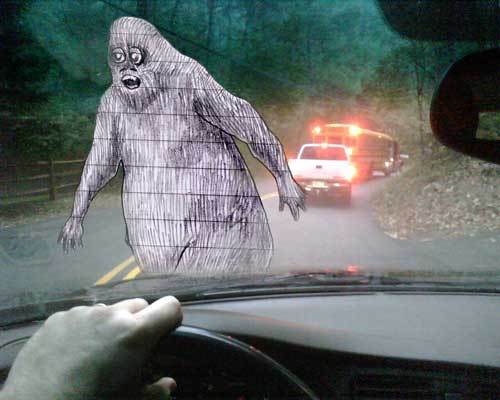 This entry was posted in bigfoot, car, man-beast, sasquatch. Bookmark the permalink.